DRIVEN FROM TRUCK ENGINE VIA SPLITSHAFT PTO & DRIVE SHAFT. 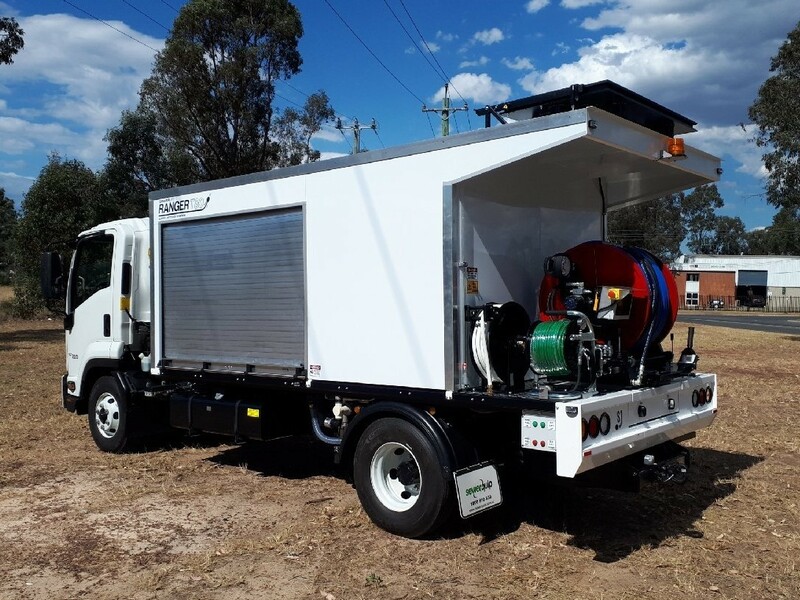 FULLY ENCLOSED SEWERQUIP TRUCK BODY WITH STANDARD STORAGE SYSTEM FOR ALL JETTING SUPPORT EQUIPMENT & BASIC TOOLS. 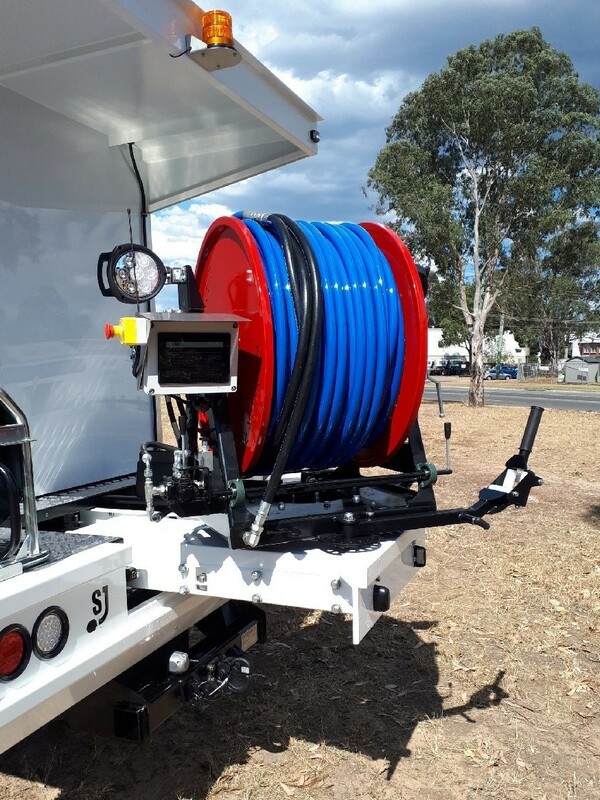 WATER TANK MOUNTED CLOSE TO REAR AXLE FOR ULTIMATE WEIGHT DISTRIBUTION. STORAGE AREA FULLY CUSTOMISABLE. 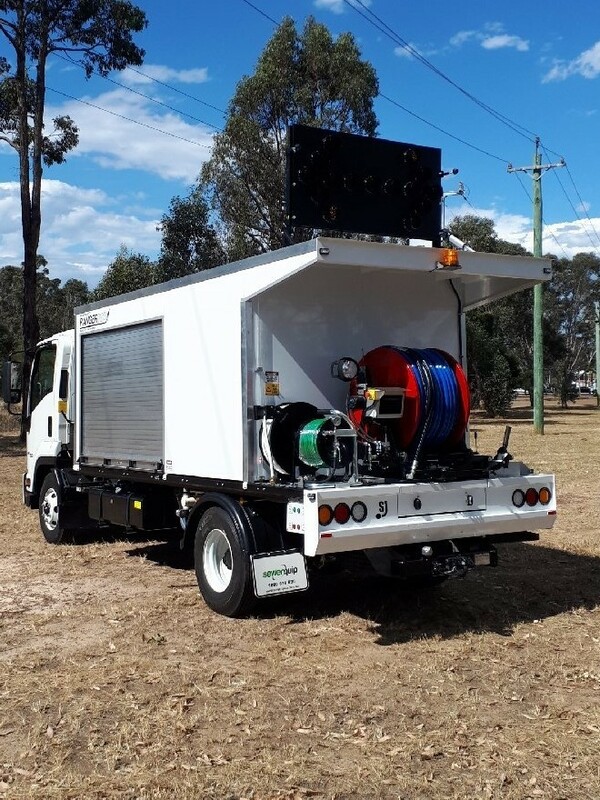 Our RANGER truck jetters are designed & manufactured in Australia to suite Australian conditions. 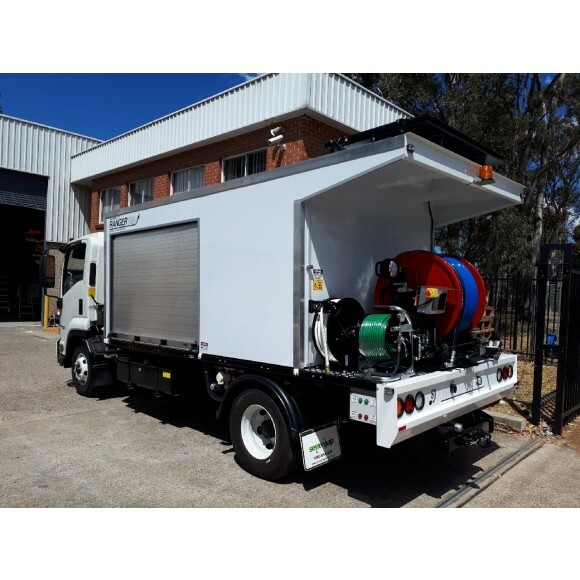 These units are designed primarily for water authorities & councils, to clear sewer & storm water lines up to 1500mm in diameter and are easy to use & maintain. 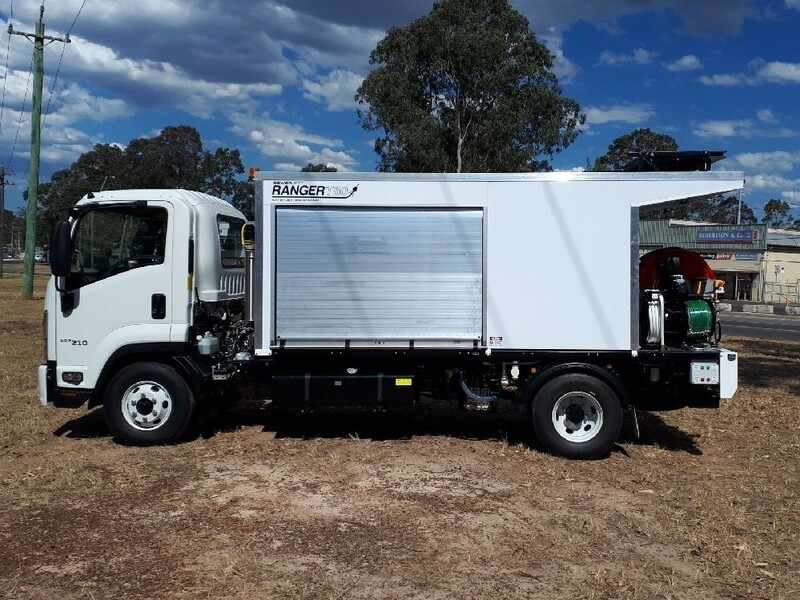 Industrial Kubota water cooled diesel engine or PTO power offers superior reliability and long service life. 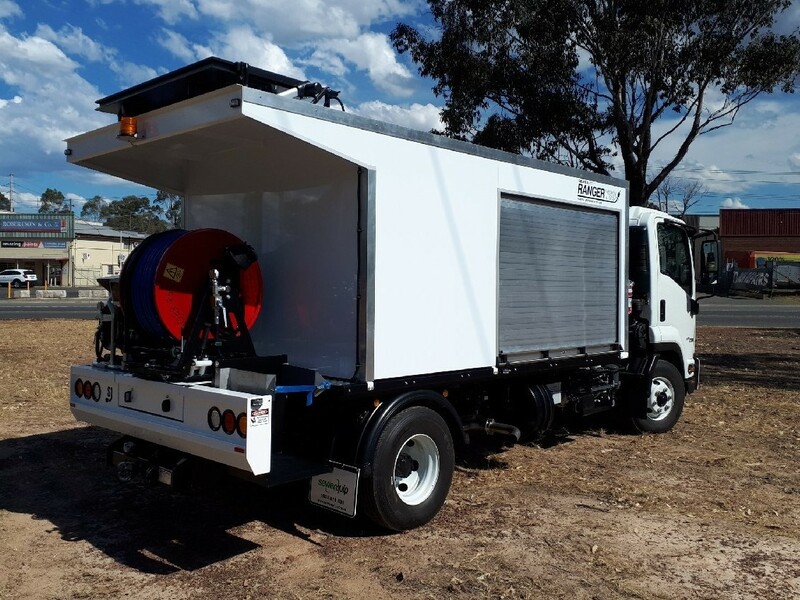 Industrial UDOR 7 Pratissoli triplex ceramic triplex piston run dry protected pumps for trouble free long service life. Made in Italy. 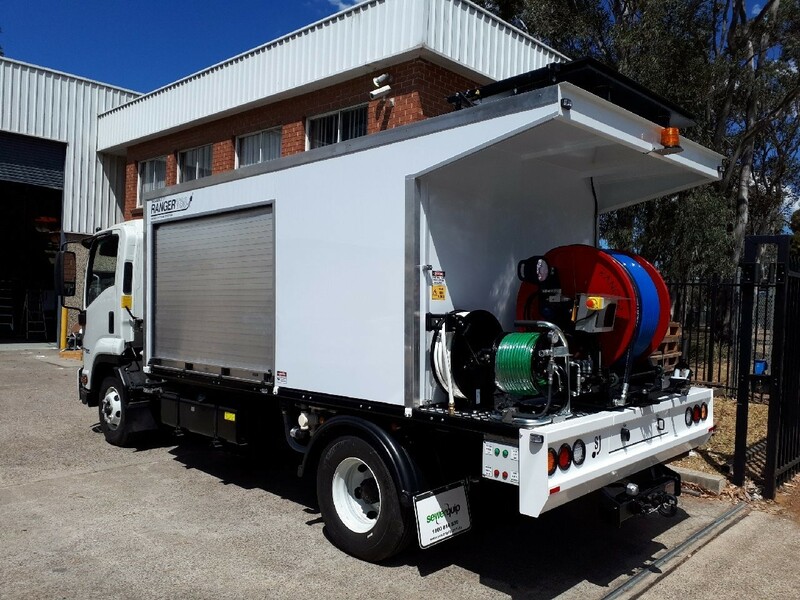 Quality Sewerquip truck bodies & customizable storgae systems. 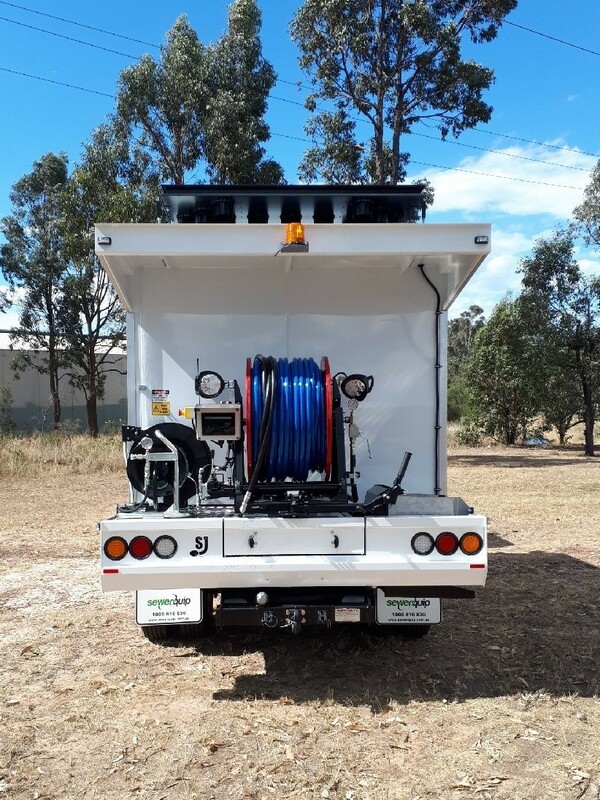 Modualr water tank system with 1000L per modual.